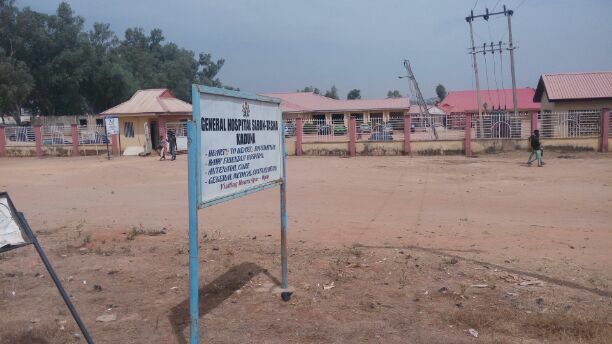 FOLLOWING a shocking revelation by Gobroadsheet about poor healthcare service delivery at Sabon Tasha General Hospital Kaduna sometimes ago, the State government said it has completed arrangement to add to the number of medical staff of the hospital for improved service delivery. The intervention in the health sector in the state is well known to everyone who is following the trend but a lot still needed to be done for the state to move from where it is presently to where it ought to be going by the United Nations recommended standards. For example, Kaduna with about 7 million people (population projection) has less than 200 medical doctors across it’s health facilities out of which many are not rendering medical services due to their engagement in government – as commissional, permanent secretaries, directors etc. What that means is that, instead of one doctor attending to 600 patients (UN recommendation), he or she will be attending to about 4,000 patients (Nigerian Medical Association assessment). So as a follow up to the earlier report by this medium, a senior medical expert and Commissioner for Health in the state’s Ministry of health confirmed shortage of staff in government health facilities but was smart to add that, all is now set to deploy fresh staff to those facilities because recruitment of over 1,000 medical staff across different cadres has been concluded. Here is his response to many issues raised concerning improved healthcare delivery in Kaduna State, “what is happening is system intervention working on a lot of things at the same time. There is a kind of synergy we give to overall running of the health sector. As regarding the recruitment, of course you know that there has been a number of upgrade of our secondary facilities apart from the very important revitalization of primary healthcare that is ongoing in Kaduna State. We are upgrading our 255 primary healthcare in Kaduna State, 23 secondary health facilities are also receiving intervention so they can appropriately receive referrers from our primary healthcare facilities in order to have a continuum of care for our patients from primary through the secondary to tertiary health institutions which we have here in Kaduna. Human resources for the health is a very important component of healthcare and it is one of the strategic priority in our strategic health development plan and that is why it is very important and very crucial that the governor gave us approval to recruit. Thank God this recruitment has been done and documentation is ongoing. Those that have finished documentation, we have received their letters so that we can post them to various hospitals including that Sabon Tasha general hospital which seems to be your major interest. We also want sincerely appreciate the governor for this approval that he gave us. We believe that the quality of services in our healthcare facilities will definitely improve because when you have more hands, the patient load per person will reduce and that will improve the efficiency and quality of services that will be provided. Just about a month ago, we requested of the governor that we will want to have 23 medical officers of health in addition to the approval giving to us and we were able to get that approval from him and we are also getting these medical officers of health that will be deployed to our 23 local government areas so that means one officer per local government. Now this is a very important thing because not many state is doing these. A great milestone that has been achieved in Kaduna and we thank the governor for that. I want to say that patients and general public will see a lot of difference in the quality of care that will offer them as a result of additional recruitment in the health sector. We are recruiting a total of 1,240 health personnel in different specialties. Then you add the 23 that we were giving lately. Virtually all our hospitals are understaffed. Many have retired, many are still retiring but there has not being replacement and that is why got this approval. Once we deployed this newly recruited staff you will see a difference in our hospitals. In Sabon Tasha general hospital, they had additional wards that were created but there were no additional nurses provided. They had to split themselves to cater for the new wards that were added. And that is quite a strain on them. That is why this recruitment cut across all cadre; doctors, pharmacists, laboratory scientists, consultants and so on”. With these promises and assurance, we believe there will be improvement on healthcare system in the state provided the state government live up to its responsibility and of course, Gobroadsheet will keep tracking until what is required is done in the interest of the masses.